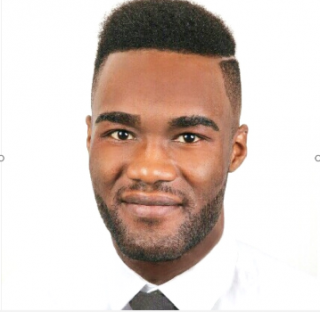 An interview with Ahijah Ndomba who wrote his bachelor thesis on market entry strategies in sub-Saharan Africa. AW: Ahijah, in your bachelor thesis at the RFH Cologne you dealt with market entry strategies of German companies in Africa and also looked at their meaningfulness. Why this topic? For one thing, as part of my studies, I developed a great deal of interest in strategic topics. In the digital age, I believe a good corporate strategy determines whether the company remains in the market or disappears from it due to increased competition. If domestic demand stagnates or even declines, or if other strong innovative competitors establish themselves on the market, then it is obvious that companies have to turn to other markets. I wanted to pursue this idea as part of my Bachelor thesis. Since I have African roots and I was born and raised in Germany, it was natural for me to bring the cultural and economic context together. AW: What is the significance of regional, foreign – or in your case: African – markets in economic studies? Or in other words, how did your supervising professor react when you approached him with this topic? Regional and foreign markets are discussed as part of a degree program in business administration. However, my study experience does not differentiate between specific markets. It is rather general. This means that foreign or, in my case, African markets are grouped together under the term “international markets”. In my case, my professor responded very positively to the topic choice. At the beginning I was a bit worried that I would not be able to find proper sources. He took this worry from me in several consultations. In addition, my professor himself has economic relations with a West African country, which is why he has always been able to assist me with practical experience. Other professors, with whom I talked about the subject, also found the choice of topics very interesting. AW: You told us that you also interviewed German companies doing business in Africa. What kind of companies are we talking about? And can you tell us something about your methodology? As you just said, most of them were German companies. I made no differentiation in terms of industries. It was important to me that the selected companies had already cultivated long-term economic relations with the African continent. So companies that were only active in Africa due to one-off projects were not included. In addition, my final thesis focuses on those companies that exclusively have economic ties with the countries of sub-Saharan Africa. Moreover, I only considered the so-called emerging markets, which is why I also left South Africa out. When selecting companies, I used the Internet, public databases and participant lists from Africa-specific events. In doing so, I specifically wrote to executives and representatives of Africa from the respective companies in order to be able to be provided with reliable answers. With the survey I wanted to get to the bottom of the question as to whether an adjustment of the company’s product, service or general activity in the respective target market is absolutely necessary in order to be successful. To answer this question, I have developed a questionnaire that includes a total of 17 questions. The companies were mainly offered multiple choice options. The analysis of the questionnaire was based on a so-called descriptive statistical content analysis. This means that I analyzed the individual responses of the participating companies and used them for my hypothesis review. AW: And what do you think were the most important findings of your research? First, that the company’s success is not dependent on size. Basically, at the beginning I assumed that larger companies have a higher probability of success in the target market than SMEs. However, in the course of the elaborations, I quickly realized that SMEs are flexible. They can shine especially in niche markets. In addition, an adjustment of service, product or corporate activity, especially for German companies is not a mandatory condition for business success in the respective target market. The challenge is rather that German companies have to determine primarily whether there is even a market for their business in the first place. Apart from the theoretical findings, I am very happy about the positive development of the continent. The negative image of Africa as the C-Continent of crises, corruption and catastrophes is fading and the world is recognizing the economic potential and hopefully will be realized in the near future. In addition, African economies are increasingly turning their back on commodity dependency. East Africa stands out in particular because investments take place in various economic sectors (industrial sector, service sector, etc.). AW: Was there anything that surprised you? Yes, as briefly mentioned before, the adjustment of corporate performance in the target market is not a guarantee of success. Thus, German companies do not necessarily have to adapt their products and services to the market conditions in the target market in order to successfully process the market. Of course, my thesis only provides a rough overview of the market conditions in sub-Saharan Africa. It may well be that, for example in the automotive industry, business performance needs to be adapted in the Congolese market, while no adjustment is needed for the same services in Sudan. It is essential that companies identify the market potential for their products and services before it comes to that. This also necessarily means that Africa is not considered as a homogeneous region. The African continent is characterized mainly by many very different markets, which must be considered individually. AW: What do you think about the coming years? Are more German companies active in Africa or under what conditions do you think they would become more active? I wish so. At present, many African economies are on the right track. I think that the continent will find more and more consideration in the internationalization strategies of German companies. This is partly because about nine million German jobs depend directly on the export industry. In addition, there is a dynamic decline in exports in the Asian and BRIC countries, which is making the continent a serious investment alternative. Nevertheless, the continent must continue to provide incentives. In my opinion, investments in infrastructure must be made first of all. At present, there are still very much below-average conditions on this point, which prevent German companies from getting involved on the continent. I also think that the German government could create more incentives to make investment on the continent more lucrative. Measures such as export credit insurance are heading in the right direction. They also show that the state is considering how it can support German companies in this regard. If one wants to believe the introductory words of Federal Chancellor Merkel during the G20 Compact with Africa conference, something will be done in this regard. AW: And your own future? What are your plans after the bachelor? I will complete my internship at a management consultancy in Cologne until September, before starting my Master’s degree in the winter semester. Where I’m going to do the master exactly is not yet clear. I am currently looking at domestic and foreign universities and business schools. I could very well imagine starting my career in consulting later. So, I choose the Master a bit depending on my planned career path. A strategy-specific master would be ideal for this. I can also imagine being active in an Africa-specific consulting company someday. Where my path leads me in the long term is currently difficult to say. In any case, I’ll keep you all up to date! AW: Thank you for this interview, Ahijah!